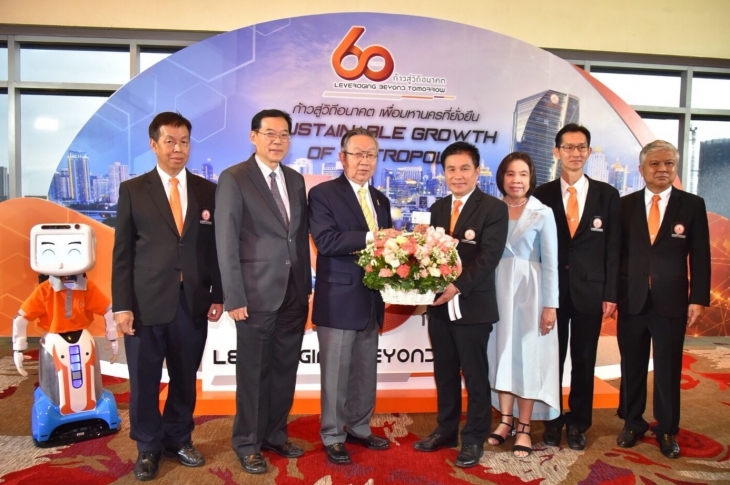 On August 24, 2018, the Metropolitan Electricity Authority (MEA) conducted a ‘Sustainable Growth of Metropolis’ event on the 23rd floor of Centara Grand and Bangkok Convention Center @ Central World. Distinguished guests from government agencies, private and industrial sectors were invited for a hearing on the MEA’s policy and business direction to promote a sustainable relationship. They are big customers whose revenues are part of the state’s income to drive the country. A special speech - CEO talk on "Leveraging Beyond Tomorrow" was also delivered by MEA Governor Chaiyong Puapongsakorn. Moreover, “Din Sor”, an artificial intelligence robot developed by Thai engineers was presented with the LED Interactive Photo Virtual as well as the idea exchange session for further improvement in MEA’s power system and service quality.